Riding personal watercraft is a blast. Like motorcycles, detailing them takes time, expertise, and the right equipment. The shop here at Speedway Detail is equipped with an electric hoist to transfer your PWC from your trailer to a custom detailing stand. In this way, we can safely reach every surface of the boat for cleaning, polishing, and protecting. Entire Hull above and below the waterline. 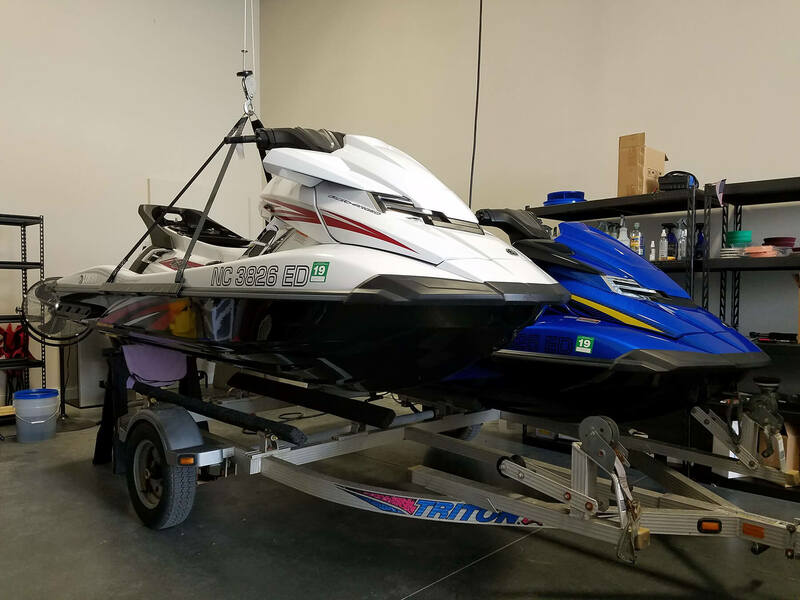 This service is the best choice for protecting your new Waverunner, Sea Doo, or Jet Ski! Pick-up and delivery of your watercraft at your home or dock is also available. Perfect for restoring or maintaining your PWC in between riding seasons.